I've been home brewing for a few years now. I've bottled my beer using a variety of different bottle types, from bombers to plastic bottles with screw-on caps. I've always treated bottles and caps like a basic commodity. Bottles are more or less the same, and caps seemed simple enough objects that they didn't require a lot of thought. 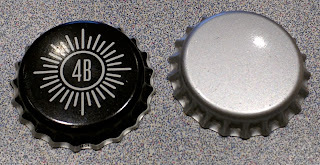 With that mindset, when a homebrew site offered 4 Brothers bottle caps at a huge discount (around $1.99 for 144), I jumped at the chance and bought about 600 of them. It's proven to be one of the worst purchases of the year. (I am not mentioning the site because everything else I've ever bought from them has been excellent and I don't view this purchase as a failure on their part. There are reviews on the site of these caps. One of them does mention having trouble capping some bottles with them. I brewed a Belgian Tripel earlier in the year, which fermented unusually fast and completely. I had just gotten these caps and decided to use them. When I opened the first of the bottles, it was completely flat. So was the second, the third, etc. 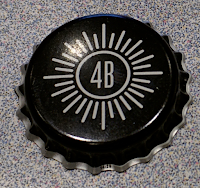 Since I had used the last of some of my other caps on that batch, I didn't blame the 4 Brothers caps for the problem because other caps from other brands showed the same lack of carbonation. I think the yeast just flocculated out or went dormant on that batch. The next batch I used the caps on was an English Bitter. 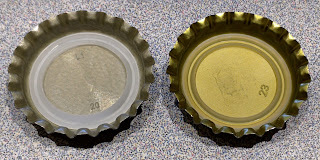 During the bottling process, several caps were mangled, didn't crimp completely, etc. This was something I hadn't seen before. I suspected that my capper was wearing out. I completed the batch and bought a replacement capper, and later a bench capper. Last night, I began bottling a new Belgian Tripel. The bench capper had an annoying tendency to hold on to the bottles after capping and lift them up, so I set it aside. The plastic "wing" style cappers (I now had three) kept having problems with the 4 Brothers caps, too. After having five or six "reject" caps in about 20 bottles, I knew something was wrong. When I grabbed the cap on one of the finished bottles, I found that I could actually TWIST it easily on the bottle. It wasn't sealed properly. The same was true of several of the others. Now I knew the problem was the 4 Brothers caps. I sealed everything up and drove to a local homebrew shop, where I bought two packages of LD Carlson caps. I uncapped all the bottles I'd just done and re-capped using these new caps. I didn't have a single mangled reject and every bottle sealed easily. None of the caps were loose this time. I'm going to stop short of saying these are bad caps or that they are defective somehow. It's entirely possible that I unknowingly ordered large 29mm caps. It's possible I just got a bad batch of them. It's hard to say, and at this point it doesn't matter. The bottom line is that these nearly ruined two batches of homebrew for me, and possibly contributed to issues with a third batch. I don't plan to ever buy or use these again, and I've already tossed the one I purchased. The rubber seals underneath are different. The 4 Brothers caps seem to have a larger "gasket" ring than the LD Carlson caps, but otherwise look the same. Holding them together in my hand, I can't tell that either is larger or dramatically different from the other, so I can't account for the difficulty I had using the 4 Brothers caps. 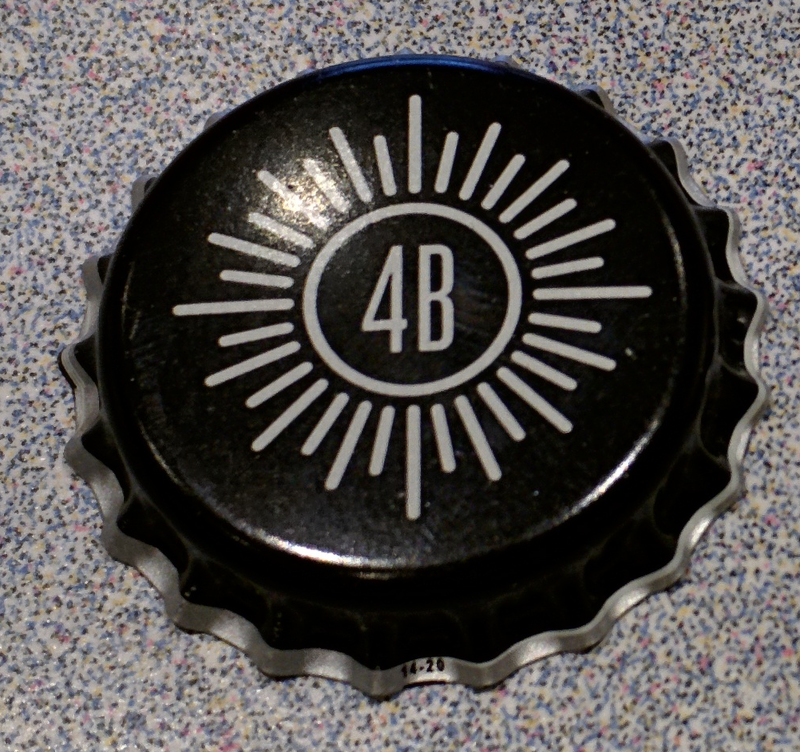 The lesson I'm taking away from this experience is that when purchasing a new brand or style of bottle caps, I should only use the new caps to do a small percentage of the batch of bottles. The rest should be done with a "known good" brand. That way, if the new caps are defective, they'll only ruin a few bottles and not my entire batch. I'll also be paying closer attention to my capping efforts and cappers to make sure the bottles seem to be sealing properly. A full wort boil is recommended by most brewers as a good rule of thumb. A full boil ensures a good hot break, and makes the hops bitterness calculation easier. There are times, though, that full boil may not be the best option. Equipment limitation is one of those (e.g., you have only a 4-gallon kettle and are making a 5-gallon batch). Another is when using extract to produce a lighter-colored beer like a Pilsner, Kolsch, or Wit. Doing a full boil with all of your extract may cause the extract to darken and ruin the appearance of your beer. The amount of darkening depends on the boil time and the concentration of the wort. The longer the boil and the more concentrated the wort, the darker it will be. To reduce darkening, a partial boil with a late extract addition is a better choice. Adding extract late in the boil ensures that it's sterilized while minimizing darkening. Malt extract doesn't need a long boil, as it's already been boiled during manufacture. A 90-minute boil with an extract based beer may cause it to feel thin or watery (due to protein breakdown). Extract beers usually benefit from a 60-minute or 45-minute boil. I've even heard of 20-minute boils being acceptable for the lightest styles. Regardless of the boil length, a late extract addition can improve the finished beer's body and head retention. When doing a late extract addition, it's important to first turn off the heat and make sure that the extract has fully dissolved before turning the heat back up. Otherwise, the extract may accumulate on the bottom of the kettle and cause it to scorch. This could easily run the color and flavor of the beer. Doing a late extract addition isn't as simple as just holding back a quantity of the extract to add late into the boil. The lighter gravity of the wort prior to the extract addition can result in a greater extraction of bittering compounds from the hops, and a much bitter beer. You'll need to adjust the amount of hops to avoid getting a more-bitter beer than you intended. If you're using software like BeerSmith or Beer Tools Pro, the bitterness calculations should happen automatically for you as you input the recipe. If you're working this out without such a tool, there are online calculators that can help. You basically want to treat the boil as two different boils at different gravities. If you are doing a 45-minute boil with a single hops addition, with extract added 10 minutes prior to the end of the boil, here's what you'd do. Calculate the bitterness of the wort based on the gravity at the start of the boil and running for 35 minutes. Calculate the gravity after the 35 minute mark when the last of the extract is added, and determine the bitterness imparted during the last 10 minutes of tbe boil based on that gravity. If you're doing multiple hops additions and extract additions, you'll need to calculate the hops quantity, wort gravity, and boil time at each step to best estimate bitterness. How much does this really mater? A beer which calculates to an IBU level of 30 IBUs with a full boil and full early extract addition could demonstrate a bitterness level of 50 IBUs by changing only when extract is added to it. A beer done with less than a full boil, multiple hops additions, and late extract addition could see an even greater difference.